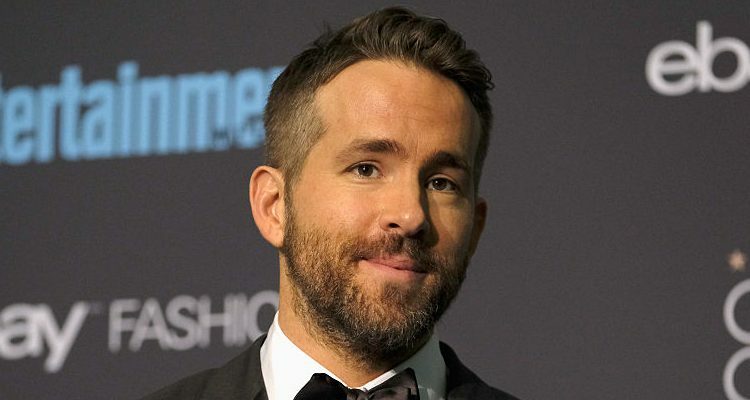 Ryan Reynolds is 42 years-old. The actor weighs 84 kg (185 pounds) and has a height of 6’2” (188 cm). His workout includes high-repetition exercises and weightlifting which helps him maintain a 45-15-32 body. Ryan Reynolds and Blake Lively looked the fittest couple at 2017 Golden Globes..
Best Known For: Playing Marvel Comics characters Hannibal King in Blade: Trinity (2004), Wade Wilson in X-Men Origins: Wolverine (2009), and the title character in Deadpool (2016). Don Saladino helped Ryan Reynolds get into the best shape of his life for the Deadpool role. The actor put on seven pounds of lean muscle. His goal with Reynolds was to increase his strength above all else, and to give him a look that was aesthetically pleasing. To achieve this, they spent lots of time on movement training every day. This ensured Reynolds was prepared for all the action sequences that he would participate in while filming. He also had Reynolds doing exercises like squats and deadlifts. These types of exercises were critical for Reynolds to make real gains. His workout regimen had him targeting different parts of his body every day. Reynolds also did a lot of resistance and circuit training, sometimes dedicating a full hour to each workout. These were high-intensity and high-repetition exercises. He also did a lot of weight lifting. What is Ryan Reynolds’ diet and nutrition plan? For Blade: Trinity, Reynolds says his muscular body was due mostly to nutrition, and he ate every two to three hours. To put on that much muscle he was required to consume 3,200 calories daily. Reynolds followed a high-protein, low-carb diet with plenty of vegetables. Want a sample of Ryan Reynolds’ diet for Blade: Trinity? For breakfast Reynolds had two eggs with some almond butter, a slice of avocado, and a cup of oatmeal with applesauce. Snacks would include a protein bar, protein shakes, apple, and almonds. Lunch was an Albacore tuna wrap or chicken salad, while dinner was broiled chicken or fish, vegetables, brown rice, and salad. In addition, Reynolds used supplements like a multi-vitamin, whey protein, CLA (conjugated linoleic acid), L-glutamine, and creatine. How was Ryan Reynolds’ Deadpool nutrition different? Reynolds’ nutrition plan was a gluten-free diet. Foods like chicken, eggs, tuna, shakes, protein bars, veggies, nuts, and brown rice were once again the majority of Reynolds’ diet. The gluten-free diet also included millet, buckwheat, arrowroot, amaranth, quinoa, and teff.